Get ready for positive feedback. 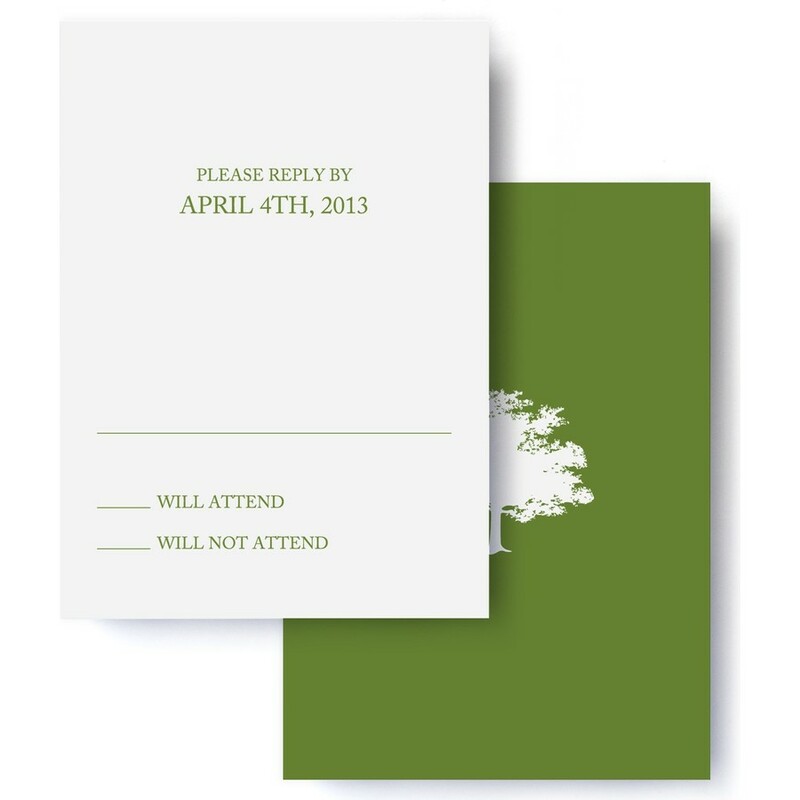 Send your guests an RSVP card designed to coordinate with your chosen suite design. With just one glimpse of your impeccable style, your invitees will be counting down the days. Coordinates with the Arbor suite.